In the Golden Age of Hollywood, actresses were the epitomes of timeless elegance and sophistication. That was, in part, due to the very talented but troubled designer Irene Lentz-Gibbons, who created countless looks for the big screen before moving on and starting her own label, Irene Inc. But if you’re looking for a full, in-depth biography of this remarkable woman, you won’t find it here. 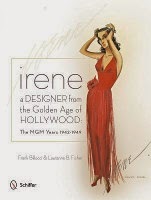 Irene: A Designer from the Golden Age of Hollywood: The MGM Years 1942-49 is a short volume that focuses on Irene’s time at MGM. Based on interviews of people who knew Irene well, unprecedented access to her records, and the memories of her personal artist, Virginia Fisher, the book reveals what it was like to work for such a big study in the ’40s, and the friendships, politics, and backstabbing that took place behind the scenes. It’s peppered with anecdotes about the movie stars of the era, who often sought reassurance from Irene, and glimpses into her tragic personal life, marred by the loss of her first husband, the love of her life, and alcoholism. Although chapters are short, they are widely illustrated. The book is full of photos of Irene and her staff and of sketches of designs created by the designer for the many movies she worked on, including some that were never used. They are absolutely gorgeous. If you’re a fan of Irene, fashion, or Hollywood’s Golden Age, you can’t miss this book. It deserves a place in your library. My science teacher in high school loved his subject and knew it inside out. You couldn’t fault his knowledge. But you could fault the way he imparted it to his students. He would just enter the classroom, make sure we were all present, and then he’d started talking, piling science facts one upon the other, using always the same dry and monotonous tone of voice, for the next 50 minutes. As a result, me and most of my classmates really struggled in his subject. What has all this got to do with Robert the Bruce? It’s simple. Michael Penman reminds me of my science teacher. He knows and loves his subject, but he doesn’t communicate it clearly. Rather than telling the story of what Robert did after Bannockburn (the book is supposed to focus on that, although the first chapters cover his struggle to be recognized as king before that battle), he chooses to pile facts upon facts upon facts, which makes, at time, for some very dry reading. Worse, some of these facts, such as the endless lists of land transfers from Robert’s enemies to his allies, are irrelevant and disrupt the narrative of the book while also leaving no room for important background information. For instance, in the first part of the book, where Robert and Comyn are both battling for the throne, the author doesn’t mention what right the latter had to it. He also often introduces new characters (and there are plenty of them) into the story without giving us much information about them. As a result, if you’re not already familiar with the history of the time period, you’ll often feel lost and confused. Having said that, this book isn’t all bad. It is clear that Penman has done his research. The book is extensively noted and debunks common myths about Bruce. 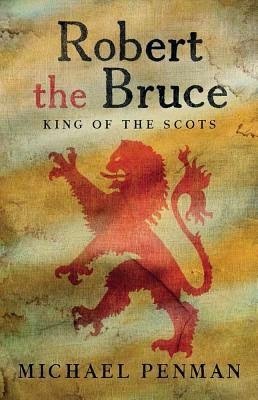 Therefore, it would be an interesting read for scholars and students of this period looking for accurate information about Rober’s kingship after Bannockburn. But casual readers wouldn’t enjoy it much. Only a very small number of women hired by professional firms makes it to the top and becomes a leader of the organizations they work for. Why is that? According to Reeves, it’s because most firms continue to encourage the use of traditional business development strategies, which were created and developed by men and thus focus on their strengths. But women (and some men) are different, and these tactics simply don’t work for them. That’s when the shoes come in. Doesn’t matter how talented a player you are, if you play basketball wearing shoes that don’t fit your feet, you’re gonna perform poorly and maybe even cost the team the match. Yet, this is exactly what women are been asked to do every day. And when they fail, they feel frustrated and start doubting their abilities. But these women are very talented, qualified and competent. They’re just not well equipped for the game they are playing. Just like a player needs the right shoe size, women need to use tactics that work for them. After explaining why traditional strategies aren’t working for women, Reeves proposes a series of alternative approaches that both firms and women, on their own, can adopt to develop business and thrive in their careers. It’s not going to be easy. Business development is closely linked to money and privileges, and those who are enjoying them won’t let them go without a fight. But change is possible. Reeves’s strategies are simple and customizable, allowing each woman to pick and adapt those that best suit her personality and strength, bringing home results that their bosses and partners simply won’t be able to ignore. If you’re a woman or a man struggling with business development, or a boss who wants to see the women in his/her organization thrive, I highly recommend you pick up this book. It may transform your life.